Getting answers to all the major queries of your favorite airline at one place is the best way to stay updated. And here we are discussing all the top issues which people doubt about while flying through a flight of American Airline. No.1: Is American Airlines’ ticket refundable? It is not possible to refund a nonrefundable ticket of American Airlines unless the ticket is being canceled within the time limit of 24 hours of purchase. Your ticket can also be refunded in case the passenger has faced some tragedy or death of his relative or a traveling companion. In case, the passenger faced some military orders, the tickets are refundable. No.2: Is it possible to cancel a flight on American Airlines? You must cancel your reservation first in order to request a refund. To cancel your trip, you need to contact Reservations if you booked as a guest. Advantage passengers can log into contact Reservations. No.3: What is the cost attached to changing of an American Airlines flight? 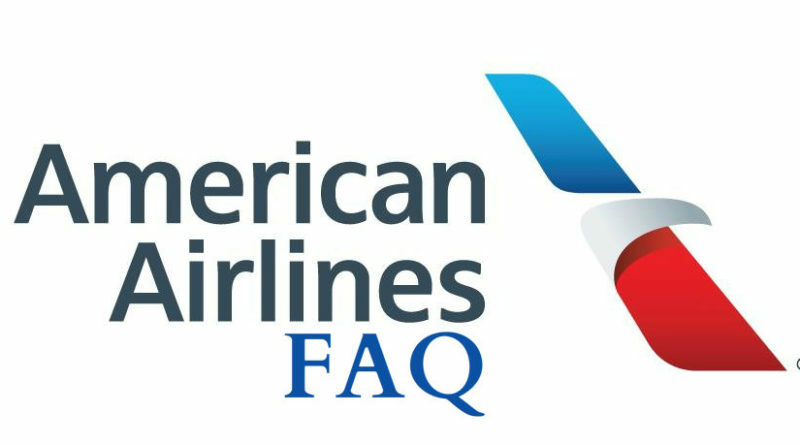 There is a total of $200 fee attached on paid fares with the changing of any of the flight of American Airlines. The full fare refundable tickets are exceptions in this case. For international flights, changing can prove you a bit expensive as you need to pay a fee of $450 on changing of any international flight. If you do same day changes, then a fee of $75 is attached to the economy class travelers and the same is totally free for all the business and first class passengers. No.4: What is the number of bags, one can carry on American Airlines? American Airlines permits its passengers to carry one carry-on bag along with one personal item such as a purse, briefcase or laptop bag without any cost i.e. totally free. There are restrictions attached to the size and weight of Carry-on which includes the dimensions 45 linear inches i.e. 22 x 14 x 9 in or 115 centimeters i.e. 56 x 36 x 23 cm including the handles and wheels of the baggage. No.5: Is backpack comes in the list of the personal item on American Airlines? According to the rules of TSA, passengers are allowed to carry only one personal item such as a laptop computer, purse, small backpack, briefcase, camera case, etc. No.6: What cost is attached to check a bag on American Airlines? The charges for overweight baggage include various rules. In case, you need to travel and check in with a bag that is heavier than the free weight allowance which is 23 kg or 51 lb, you may need to pay an overweight baggage charge. These baggage charges are payable at the check-in point only. No.7: Can I bring a purse and a carry-on bag on a plane? All passengers are allowed to carry the main carry-on bag along with the personal items which include laptops, purses, cameras and similar kind of stuff. The dimensions attached to the carrying of the personal items includes that the item should not be over 36 inches and i.e. length plus width plus height. The best thing is try to carry an item which can easily fit under the seat in front of you.